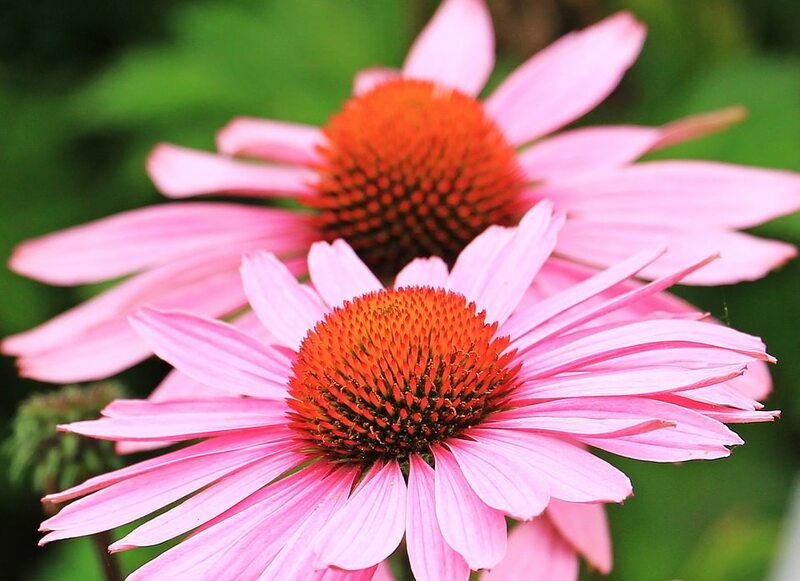 Echinacea is a native North American coneflower that has been used in traditional medicine for over 400 years. While it is classified as an herb, several species of the Echinacea plant are used to make medicine from its flowers, leaves and roots. Other names for it include: the purple cornflower, or blue-eyed Susan. After around 1950, when antibiotics came about, echinacea lost it’s esteemed medicinal status, but it never hurts to explore natural options. There isn’t really any confirmed research to prove that echinacea can help combat cancer, but the medicinal value of phytochemicals contained in Echinacea is clearly evident and indicates that these agents may be valuable tools to combat tumours. Stated by the National Institutes of Health (NIH). The use of Echinacea as another natural cancer treatment is now being recommended, literally, alongside, or possibly in the place of conventional therapy. Extracts of echinacea do seem to have an effect on the immune system. Research has shown that it increases the number of white blood cells, which fight infections. However, since research results on this herb aren’t definite (yet), two studies funded by the National Center for Complementary and Alternative Medicine failed to find any help for a cold from echinacea in either children or adults. Some common ways to use echinacea to combat pain is to drink the herbal tea, or take it as a supplement. Like other herbs, echinacea is healing for the stomach, and entire gastrointestinal tract. According to Medical Herbalism, echinacea can be used as a mild laxative to provide natural constipation relief and as a calming agent. Drinking the herbal tea is especially effective to help with this. Inflammation is at the centre of most diseases. Various factors (stress, toxins in our food and poor sleep) all contribute. As explained by UBC, regular echinacea consumption can effectively reverse and alleviate various types of inflammation. The National Institute of Health reports that it can even help with uveitis, or eye inflammation. It’s a good idea for people who struggle with chronic inflammatory conditions like rheumatoid arthritis (RA) to regularly consume the herbal tea. Please note: It’s important that you don’t exceed a dosage of 20 milligrams each time you take it. Consuming more could actually end of cancelling the benefits of the herb.